In a similar manner to how Matthew McConaughey went from being a shallow, vapid beefcake who starred in classics like The Wedding Planner (2001) and Fool's Gold (2008), to a serious dramatic actor winning Oscars, so too Cafe Green has gone from a greasy spoon, to an authentic Vietnamese restaurant. 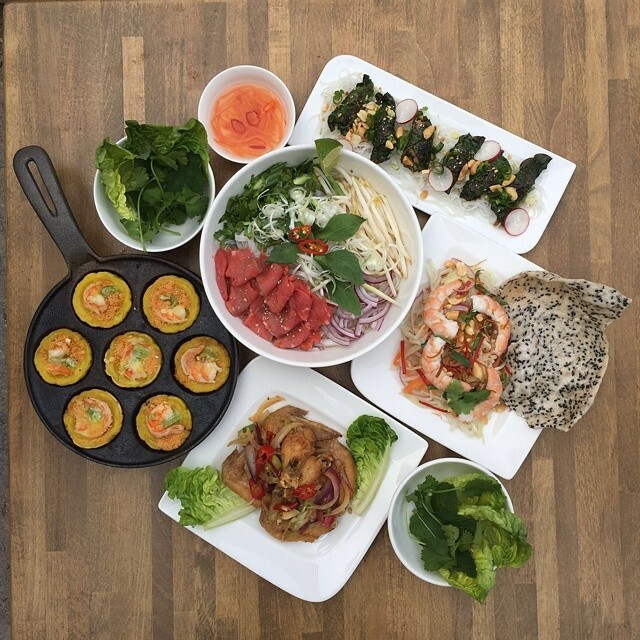 Bought in 2015 by a local family of Vietnamese heritage, Cafe Green has quickly become one of the most talked-about restaurants in South East London, and you can join that conversation while getting 10% off everything with your South London Club Card. This delivery-only family-run joint near Brockley station is the perfect place to order an indulgent but healthy and refreshing treat. Their extensive menu includes pickles, soup, summer rolls and mains of pho (noodle soup), bun (noodle salad) and com (rice) with a variety of vegetable, fish or meat toppings. Prices range from £3 - 8 making it one of the best value options around. A popular choice amongst Crystal Palace foodies, this BYOB restaurant is constantly packed, and it's no surprise once you have a taste of their menu, which includes some of the most deliciosu banh mi, dim sum and pho this side of the Thames. Though they don’t deliver, they do certainly deliver, and if you’re lucky enough to live nearby they do offer collection. This small cafe on Catford Broadway started as a Vietnamese shop, but now specialises solely in serving delicious Vietnamese food. The menu is simple, and includes meat or vegetable pho in an 8-hour broth and bun (rice vermicelli with peanuts, shallots, salad and your choice of topping). The cafe is unlicensed but you can enjoy a strong Vietnamese coffee or a range of soft drinks. South London Club cardholders also receive a discount on orders over £15. Tucked away behind the High Street, you could easily think that you have stumbled upon something of a hidden gem when you enter Tiger Cafe. You might even think you've found a portal to Vietnam, as the smells and sounds will fool you into thinking that Hanoi or Hue are actually in Lambeth. Fresh, healthy ingredients are used in all their dishes including their marvelous soups, sizzling stews and steamed rolls. Formerly 'From the Forest', Gao offers up something different by focusing specifiallly on Vietnamese baguettes, traditional coffee and desserts. They also offer a matcha green tea or lychee tea if you want a health boost over lunch. A firm favourite in South London, this pop-up is regularly hosted across Lewisham at venues like Arlo and Moe in Hither Green and Brockley. Family-run and full of fun flavours, you will not be disappointed with Saigon Streat. Their tofu puff pho is out of this world and even their vegetable-packed sides are worth a shout, as is the fact that you get 10% off food when you show your South London Club Card. Simple but traditional Vietnamese street food is what is on offer at this central location. With plenty of clearly-labelled veggie, vegan and gluten-free options, there is something for everyone including summer rolls, spring rolls, pho, stew, curry and vermicelli or rice served with a range of toppings. Wash any of these down with a refreshing jasmine tea or homemade lemonade. 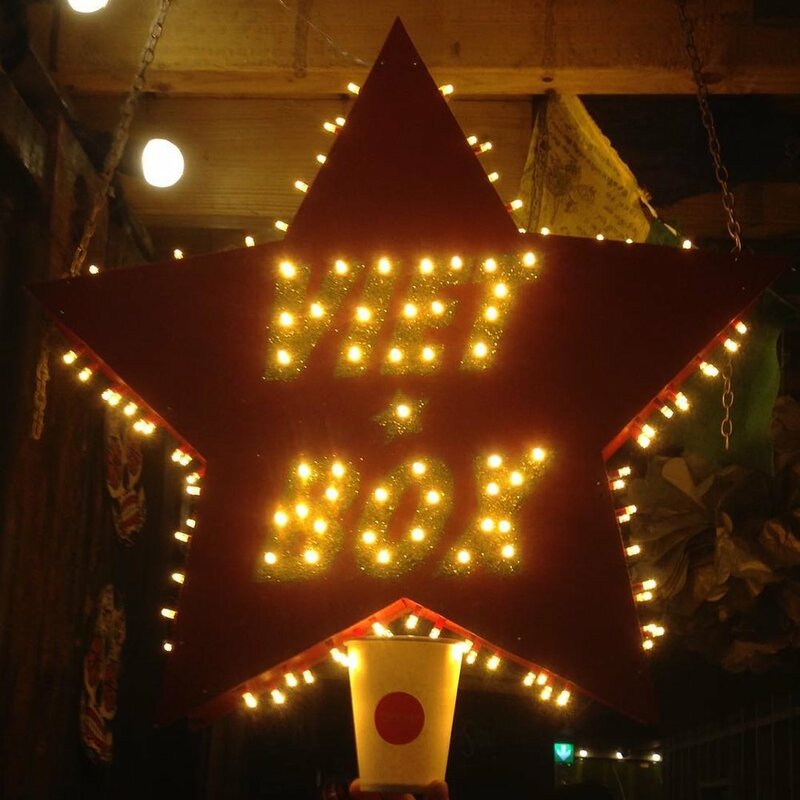 Nestled inside Pop Brixton - one of the coolest go-to food locations in South London, Viet Box is loved for being imaginative and affordable. This box-shaped hub of Vietnamese food serves traditional dishes like bahn mi (baguettes) and bao buns, which also sit alongside more unique offerings such as Vietnamese bruschetta and ceviche. Banh Banh is an independent business run by five siblings, and you can taste the love in the food they serve. Serving a variety of small and large plates, it is the perfect place for a group meal. The menu regularly changes but favourites include summer rolls, BBQ aubergine and Bun Bo Hue: a noodle soup with vermicelli. Half of their tables are kept for walk-ins so hopefully you should never be disappointed. Worth going out of your way to find, Cafe East is yet again another delightful family-run business which challenges for the title of top Pho in South London, as well as some of the lowest prices around. The menu offers around thirty dishes - all cooked with expertise - including the usual soups, pho and buns. The cafe is unlicensed but has plenty of soft drinks and desserts on offer.